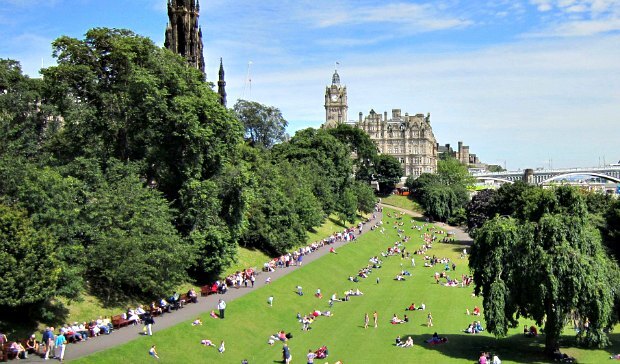 Princes Street Gardens in Edinburgh cover a large area near to the main shopping street. 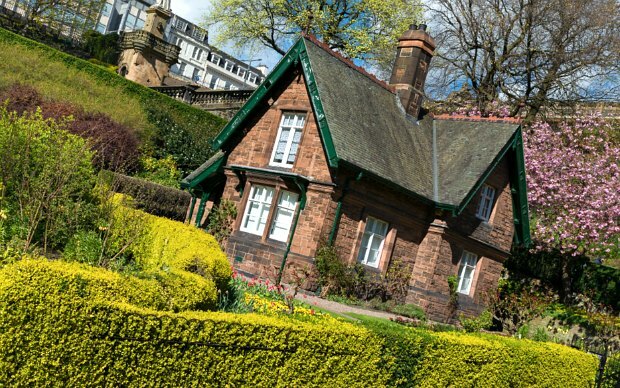 There are plenty of places to walk and lots of features in the gardens to see. Pathways link all the surrounding roads and bridges so the gardens make an attractive short cut from one attraction to another. 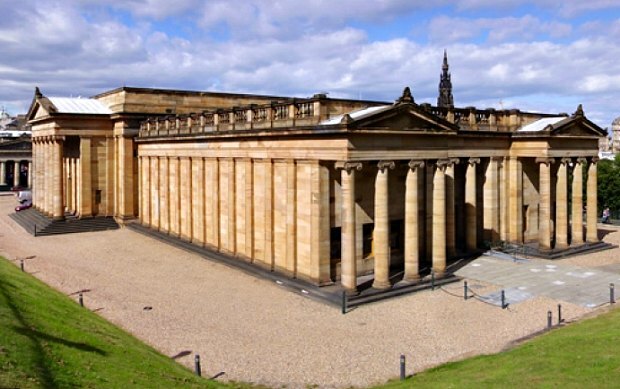 The gardens are home to the National Gallery and a large amphitheatre known as the “Ross Bandstand” which is often used in the summer for outdoor entertainment. From the castle side of the gardens you get a view of most of Edinburgh’s main shopping street, Princes Street, but on a clear day you can also see the Firth of Forth behind. Another feature of the gardens is the Ross Fountain which you’ll find in the western end where it has been since 1872. It’s quite ornate for a city park and is made up of a collection of iron figures depicting science, the arts, poetry and industry. There are often special events in the gardens at various time of the year – see our Christmas in Edinburgh section. Princes Street Gardens link Edinburgh Castle with the shopping area around Princes Street.